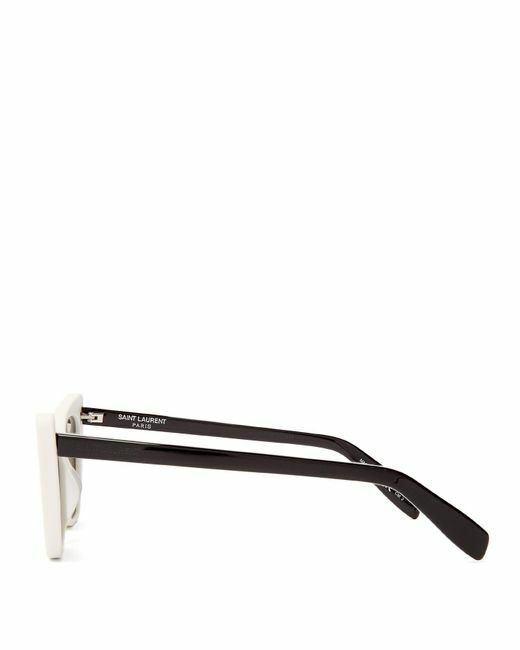 Angular frames and smoky-black tinted lenses lends a futuristic sensibility to Saint Laurent's Victoire sunglasses. 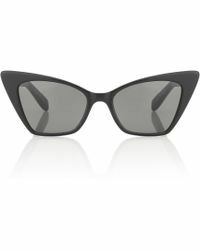 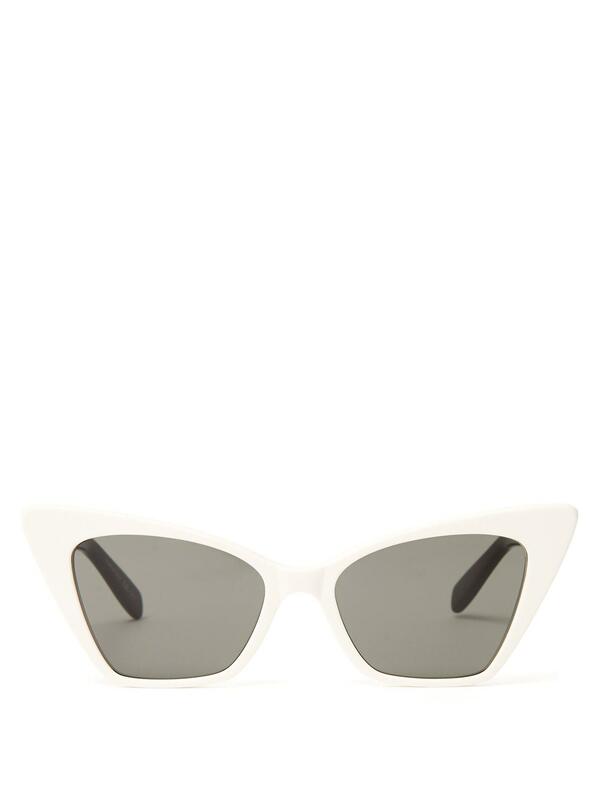 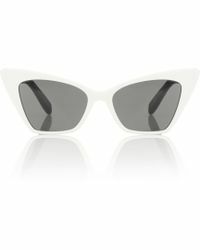 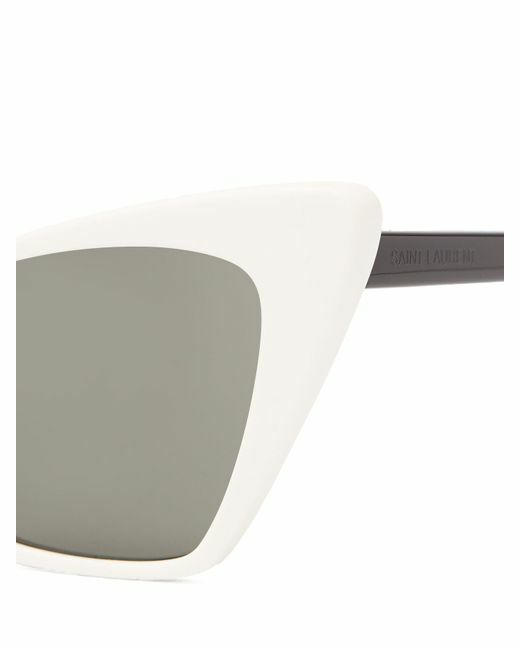 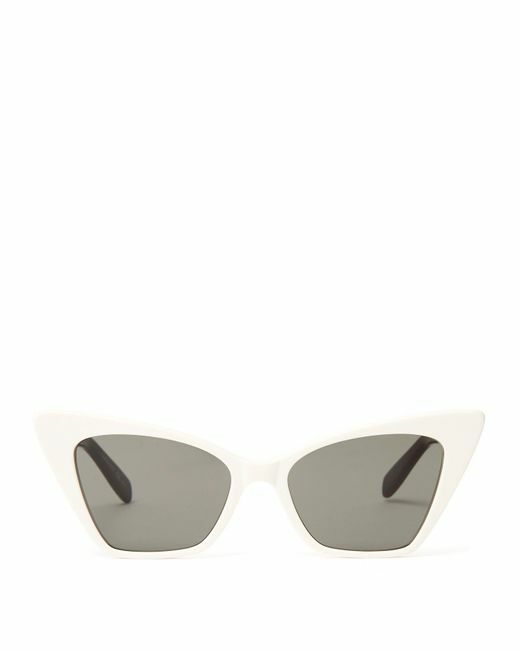 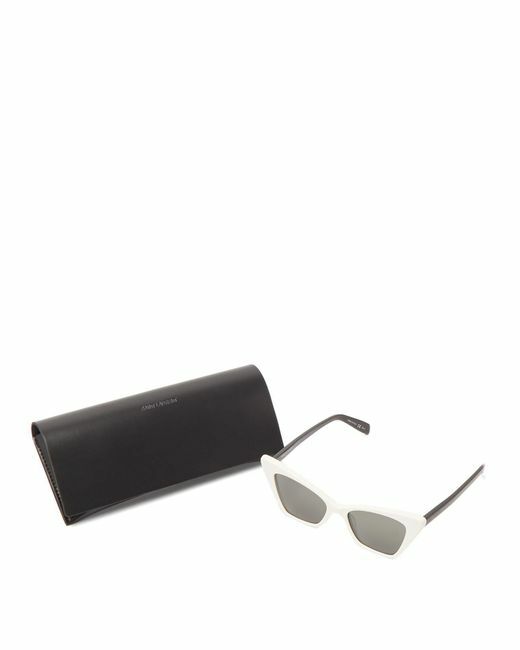 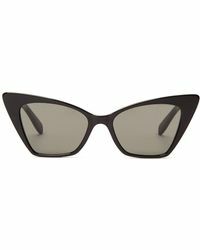 They're shaped with white acetate frames that features a pointed cat-eye top edge, then finished with slender black arms. 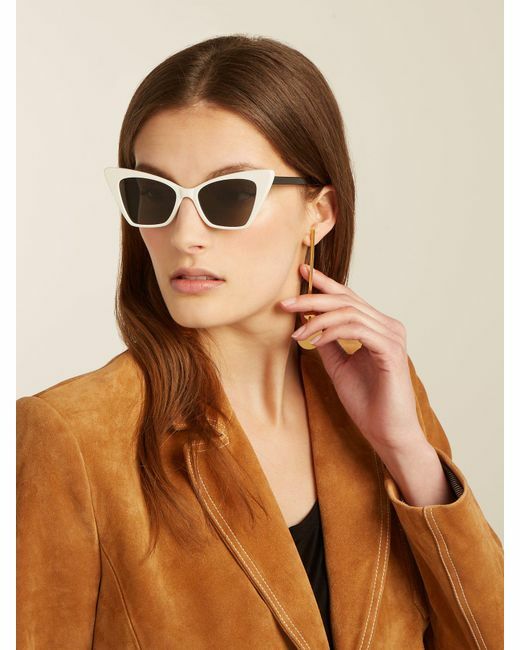 Contrast them against one of the house's suede blazers for a mid-week lunch date, layered over fluid silk.